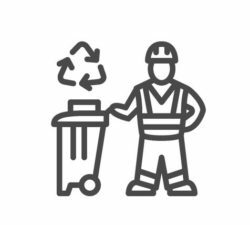 You know Pro Disposal as a local, community-minded waste services provider for residential customers, but did you know we service businesses too? Pro Disposal is proud to now offer commercial trash and recycling services to new customers in Arapahoe and Douglas County. Since being founded locally in 1999, Pro Disposal has grown to service over 60,000 satisfied residential customers throughout the Denver area. Now, businesses can enjoy the same dependable and affordable trash and recycling services Pro Disposal has been known for while being customized to meet your unique needs. If you’re tired of working with an out-of-state waste services provider who doesn’t have a one-on one relationship with you or your business and isn’t available to speak on your time, give Pro Disposal a try. When you partner with Pro Disposal, were working together to keep revenue in the communities that we both take pride in and call home. Learn more about Pro Disposal commercial waste services below! Pro Disposal will work with businesses of any size and type to provide customized services that meet the unique demands and challenges of your business. From standard waste to hazardous materials and full-service recycling solutions, out friendly, local team of waste industry experts help develop a solution that makes sense for your business on budget. Businesses can make a lot of trash. No matter the size of your Municipal Waste* production and haul away needs, Pro Disposal can take it off your hands and make it seem like it was never there. Help improve the planet and your bottom line by partnering with Pro Disposal to safely dispose of all those papers, plastics and cans piling up in your facility, office or school. Pro Disposal commercial waste services are available to businesses located in Arapahoe and Douglas Counties, with service in Commerce City, Aurora, Centennial, Lone Tree, Highlands Ranch and Littleton. Contact us today to find out if you’re in our commercial service area! As a local business, we value the importance of strong relationships within the community. Do you know another business owner interested in finding a local solution to their waste management needs? Refer a customer to Pro Disposal for an exclusive discount on your service. Pro Disposal makes commercial waste management easy for your business. Were always available on your schedule and are committed to ensuring your unique needs are met. Contact us today to learn more & receive a customized commercial quote! *Special waste material collection must be approved in writing by Pro Disposal and excludes collection of, any waste tires, radioactive, volatile, corrosive, flammable, explosive, biomedical, infectious, biohazardous, regulated medical or hazardous waste, toxic substance or material, as defined by, characterized or listed under applicable federal, state, or local laws or regulations. 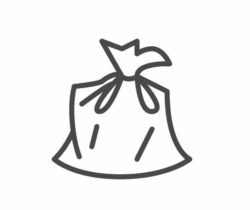 Special waste collection is at the sole discretion of Pro Disposal. 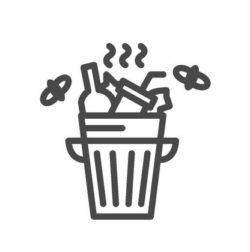 Municipal waste is defined as non-hazardous putrescible and non-putrescible solid waste and recyclable materials generated at the customer address.